I like to think that great ideas are all around us. We just have to let ourselves see or hear them. 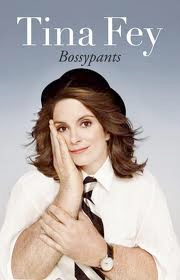 This month my thoughts started from a bit in the book Bossypants by Tina Fey. (I will admit that for Hallowe’en two years ago I dressed up at Tina Fey doing Sarah Pallin… I had her accent down cold. I may be a fan – of Fey- not Pallin!) I have no authority by the publisher or author… but here is a bit from the book. Sadly, I’ve taken all the funny bits out for brevity. There are no mistakes. Many of the world’s greatest discoveries have been by accident. The 2011 competitive season has shifted into gear and there are already great results coming in. Keep at it. You chose this unique life that you are living…. Continue to start with YES and see where that takes you.